In this video post, I discuss --- what I find to be --- an extremely useful method of calculating the dose of sodium chloride based infusions and predicting response to therapy while treating chronic severe hyponatremia. 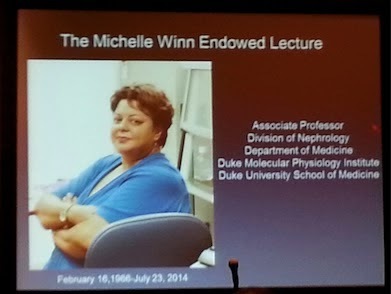 At this year's ASN Kidney Week in Philadelphia Andrey Shaw, MD, presented the inaugural Michelle P Winn Endowed Lectureship. Dr Shaw was not only a longtime collaborator of Michelle’s but also a very close personal friend making him the perfect choice for this inaugural lectureship. Dr Shaw delivered an excellent talk interweaving highlights from Michelle’s stellar career with examples of Michelle’s fun loving and genuine kindhearted nature. I was lucky enough to work in Michelle’s lab from 2012 to 2014. She cared greatly about all her mentees both professionally and personally. She was a huge inspiration and a friend. Michelle did her undergraduate studies at the University of North Carolina before going to medical school at East Carolina University. She then entered Duke University for residency and fellowship before joining the Duke faculty. Despite spending most of her career at Duke she remained a true Tar Heel (UNC) fan! She received her training in classical human genetics from Drs Jeffery and Peggy Vance at the Duke Center for Human Genetics. In collaboration with another longtime friend and collaborator and early mentor at Duke, Dr Peter Conlon, Michelle began investigating the genetic heterogeneity of FSGS. Together Drs Winn and Conlon collected what is now one of the largest Familial FSGS datasets in the world. Michelle’s early work linked familial FSGS in one large family from New Zealand to a locus on chromosome 11. Following this she identified TRPC6 as the cause for FSGS in this family. This was a seminal paper published in Science and introduced an ion channel and calcium into the burgeoning field of podocyte biology. Michelle’s further work on TRPC6 made a huge contribution to the understanding of the biology of TRPC6 in kidney disease. Michelle was also very interested in other inherited kidney diseases. a hybrid CFHR3-1 gene causing familial C3 glomerulopathy. Her work also helped to define the disease burden and impact of other FSGS causing genes such as INF2, NPHS2 and PLCe1. Towards the end of her career and even while fighting her illness she remained very involved and continued to contribute in a huge way to the field we all love. added further insights into the function and regulation of TRPC6 in podocytes. Michelle was a leader in her field of podocyte biology and renal genetics. In 2007 Michelle won the ASN Young Investigator Award. I am sure that if her life had not been tragically cut short she would have been awarded the highest honors our specialty has to offer. The creation of the Michelle P Winn Endowed Lectureship is testament to this probability. Michelle was a beautiful person and will be missed by all who knew her. Thursday night at 8:30 pm, Blogger Night (after the ASN Presidents Reception). If you like the Neph Social Media Crew from Twitter, Renal Fellow Network, AJKDblog or NephJC, join us for drinks at Field House Philly sports bar. Look for Joel in his AJKD hat. 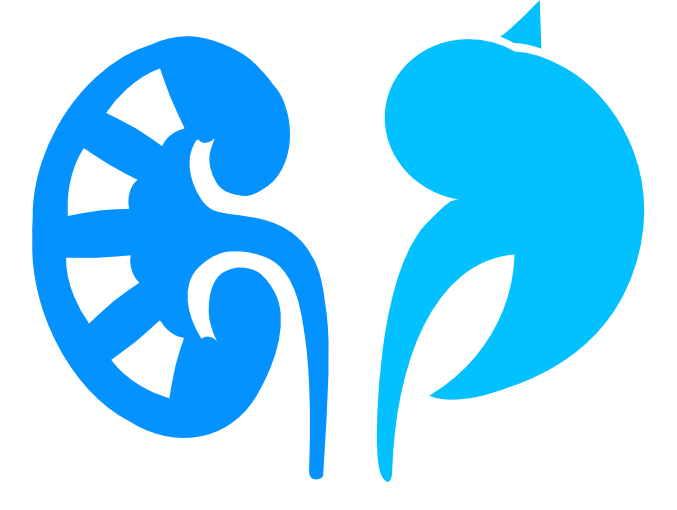 The Nephrology twitter journal club will come to life on Saturday 15th November at Kidney Week in Philadelphia. NephJC co-founders Dr Joel Topf and Dr Swapnil Hiremath will co-host the event at the Double Tree hotel. There will be 2 live presentations on the day, both of which are sure to stimulate active discussion. There will be a study, presented by Dr. Deirdre Sawinski of University of Pennsylvania, looking at transplanting HIV positive kidneys into seropositive donors. Dr Francis Wilson will also present his RCT on acute kidney injury. The event is filling up so please visit www.nephjc.com before this Sunday November 9th to register. For those of us who cannot make it to Philadelphia, the event will, as ever, be live tweeted using #NephJC. Preventing PD Peritonitis: What's the Evidence? Peritoneal dialysis associated peritonitis is the second commonest cause of death among PD patients (35/1000 years) and the most common cause of treatment failure. It confers a CV risk of 7 times normal for 6 months following the bacteremia, so we need to remain ever vigilant when dealing with PD patient, and its worth refreshing our knowledge on how to prevent this feared complication. There is a paucity of high quality evidence for many of the most fundamental questions in PD. Such is the lack of evidence, the International Society for Peritoneal Dialysis (ISPD) have issued a consensus document where they state they are unable to issue formal guidelines. The best resources I have found on the topic are a Kidney International supplement from 2006, and the ISPD document already mentioned. In the first instance, which patients are at risk of developing peritonitis? The best described risk factors are hypoalbuminemia (similar to the association in haemodialysis patients), Staph aureus carriage at inception of dialysis (HR 1.53), initiation of PD early after catheter insertion (HR 0.98/day), PD after transplant failure (HR 2.18), lower hemoglobin (HR 0.88/gram/l), faster PD transport rates (HR 2.92) and previous peritonitis. A special risk group to consider are those PD patients undergoing invasive procedures such as endoscopy or IUD insertion. There is evidence that antibiotic prophylaxis using cephalosporins may help reduce peritonitis rates. The cornerstone of peritonitis prevention is minimizing contamination risk with effective hand washing and immaculate exchange technique. Specialized nurse-led training is key. If peritonitis occurs, retraining and re-education are the most important interventions. Home visits by PD nurses can cut recurrence rates in half, and should be performed where possible. A Cochrane review could find no RCT data to support any particular insertion technique, catheter type, number of cuffs or positioning. It demonstrated that of all catheter-related interventions designed to prevent peritonitis in PD, only disconnect (twin-bag and Y-set) systems have been proved to be effective. Topical antibiotic prophylaxis is a standard of care and there are multiple RCTs demonstrating the efficacy of mupirocin cream application at the exit site. Ointment is to be avoided as it can erode the catheter polymer. In contrast, nasal mupirocin is more difficult to justify. Cochrane point out that while there is trial data that nasal mupirocin reduces exit-site/tunnel infection, it has no effect on peritonitis rates. Preoperative intravenous prophylaxis reduces early peritonitis but not exit-site/tunnel infection. Recent published trials in the area of antimicrobial prophylaxis have been disappointing. They include the Honeypot study, discussed previously on RFN, which demonstrated the application of honey to exit sites approximately doubled the risk of developing peritonitis in diabetic patients. The MP3 study published in JASN in 2012 found polysporin to increase rates of fungal exit site infections without any improvement in primary outcomes of exit site infection or peritonitis. Finally, a special mention goes to cats, who are responsible for at least 25 case reports of pastuerella peritonitis, as well as an assortment of other bugs. Not to be outdone, rodents feature in the case reports also, coining the term “hamster bite peritonitis” caused by pastuerella aerogenes. 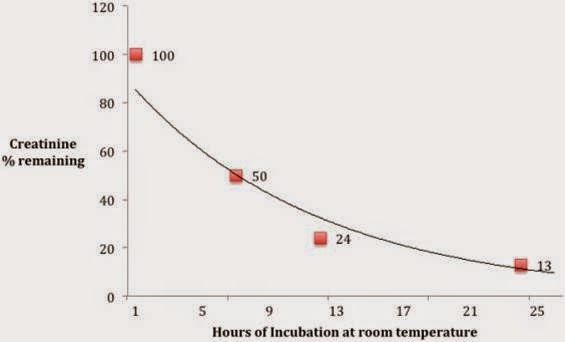 In summary, technique and continuing re-education are of fundamental importance, as are topical antibiotics to prevent exit site infection. Beyond this, trial data are severely lacking and local opinion and consensus must guide practice.